Uplighting is an affordable, elegant and flexible way to dress up your venue. Uplighting can highlight key areas of the room and to tie your event together under the glow of your event colors. No venue is too fancy or too rustic for uplighting. Plus, our battery-powered uplights remove unsightly cables, the tripping hazard that comes with them and the need for an outlet nearby every light! We know that uplighting can be expensive, confusing and frustrating, but not with SONUS Entertainment! Others in our area rent the exact same uplights we use for $35 per light. With some other uplighting companies, you have to figure out how many you need and exactly where to put the lights for the best effect. And unless you want to pay more for delivery and setup, you have to pick them up, learn how to set the exact color you want and you have to return them after the event. Our room lighting packages solve all of these problems! We are room uplighting EXPERTS! Let us handle all the details. Just tell us your color and we do the rest! 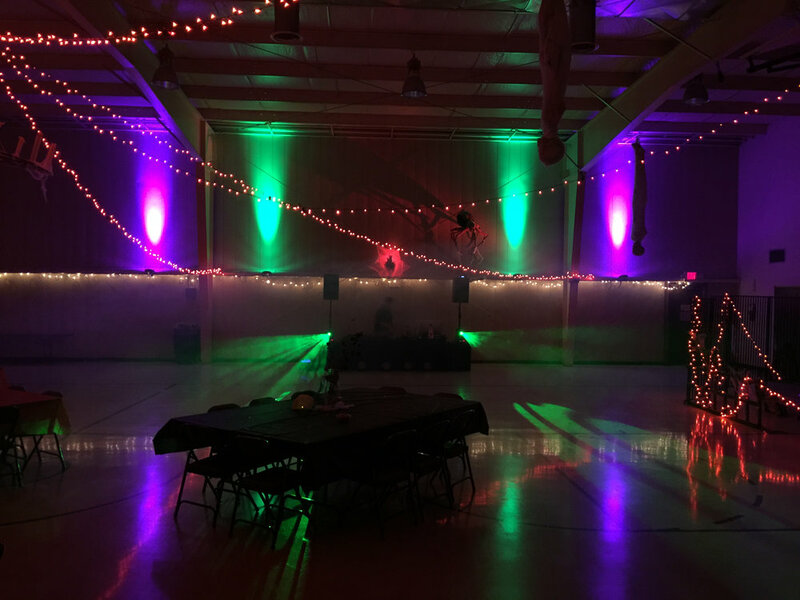 We bring the right number of lights for your venue, we set them to the exact color you choose, we put them exactly where they belong for the best effect and we put them away at the end of the night. Plus, when your little cousin or clumsy uncle trips over the light knocking it out of place, we set it back up to keep your environment looking top-notch! Our packages include everything you need to make your venue stunning and memorable. Even Larger Venues: Does your venue have a capacity of more than 299 people? No problem! We will give you a custom price just for your venue.